As you may or may not know, emoov was acquired in January 2019 by Mashroom Ltd. Here is a press release for those of you curious about what Mashroom is about to launch next – clue – a new way to rent and let properties which cuts out middle and redistributes earnings to tenants and landlords! There’s a new way for landlords to fill their vacant properties and it involves outgoing tenants being paid to find their replacement. Soon-to-launch online lettings community Mashroom, which is set to change the way tenants find their next home in large cities, rewards outgoing tenants with up to one week’s rent for liaising with prospective renters and carrying out viewings. As well as the obvious perks for renters, using Mashroom also has a range of benefits for landlords, particularly ease, cheaper fees, increased communication and reduced void periods. Once a change in tenancy has been confirmed, the landlord can instruct Mashroom at which point either the landlord or the existing tenant can upload property details and images – which have to be approved by the landlord – to the online platform. Next, Mashroom will advertise the property on the major portals. The outgoing tenant can then manage enquiries and viewings with interested parties on the Mashroom platform, who will then be able to make an offer to the landlord. After the new tenant has moved in, the outgoing tenant will receive their financial reward and the landlord can enjoy a quicker turnaround of tenancies as well as lower ongoing management costs. 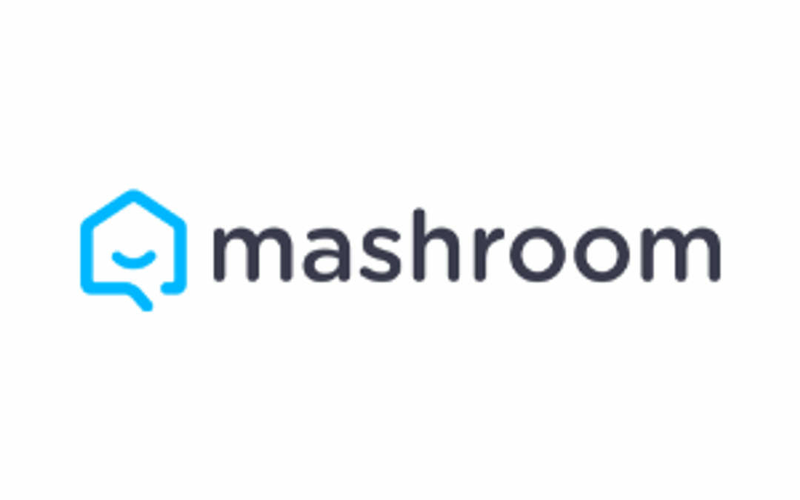 “By redistributing platform income to tenants and saving landlords money, Mashroom creates an integrated community that will produce a behavioural shift in the way people find and let their properties in large cities,” says Stepan Dobrovolskiy, Mashroom’s founder. “Not only does Mashroom save landlords money while rewarding departing tenants, it also speeds up the rental process for all parties and allows the incoming tenant to gather key information from someone who has already lived in the property,” he adds. Alongside its innovative way of finding new tenants, Mashroom also has plans to provide landlords with a range of property management services at a fraction of the cost of traditional high street letting agency fees. Mashroom’s goal is to create a product that allows landlords to retain more of their income. It charges landlords just a flat fixed upfront fee of £149 which covers advertising, offers, agreement, deposit registration, tenant referencing payment and first month’s rent collection. As well as referencing and tenancy contracts, the online platform provides landlords with the opportunity to request advance rent payments and take out rent guarantee insurance and tenancy deposit insurance to make it easier for tenants to move in as the financial burden is not so heavy. “The property management sector is changing rapidly as more landlords seek alternative management platforms which cost less than traditional letting agents,” Dobrovolskiy explains. “What’s more, tenants and landlords increasingly desire digital platforms which allow all parties to interact directly and enable several key parts of the tenancy process to be carried out quickly and efficiently online,” he says. Mashroom is launching soon and is currently inviting landlords to help trial its system at no cost before general public availability. Tenants can also refer their landlord to be part of this exclusive community of pre-release testers. There is a referral fee for successful landlord signups and the tenant could also earn a week’s worth of rent as a result.